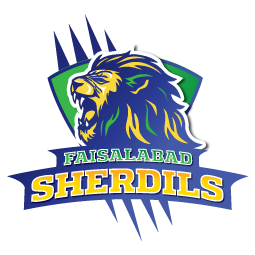 LAHORE: Pakistan’s 1st Super Kabaddi League (SKL) organised by Strawberry Sports Management in collaboration with Pakistan Kabaddi Federation and sponsored by Telenor Pakistan, commenced stylishly in Lahore, Pakistan. This Kabaddi league will be held in Lahore from May 2nd to 10th of May. This is the first time that this league is taking place in Pakistan. In total of 10 teams are participating in this tournament. There will be two pools consisting of 5 teams each. These teams will not only consist of local players but international players will also be a part of this league. A total of 16 foreign players from 7 countries including Iran, Sri Lanka, Iraq, Kenya, Malaysia, Japan and Bangladesh will be participating in this league. · Actress Reema Khan co-hosted the event with Khalid Malik as both hosts presented this whole event quite elegantly. · Opening remarks were made Pakistan’s Kabaddi Federation’s Secretary General Rana Muhammad Sarwar in which he explained how the league will take place. · Mr. Khan who is the CEO of Telenor Pakistan also spoke at this event, where he congratulated Pakistan Kabaddi Federation for taking this step to promote Kabaddi. · After that, Kabaddi teams were came out on stage in an elegant fashion as the event hosts introduced them one by one. · There were also several performances from actors and singers of Pakistan entertainment industry coupled with some exciting dance performances by professional dancers. Previous articleIllegal Bowling Action: Muhammad Hafeez’s True Love Story?